Thank you for your interest in SW!PE Magazine. If you have any questions or comments regarding our publication or website feel free to inquire and we will get back to you shortly. 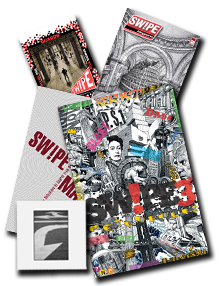 We can be reached by clicking on this link: info@swipemagazine.com or paste the address: info@swipemagazine.com in your e-mail application. Get the latest on what's happening with SW!PE Magazine!